Evolution of smartphones and modifications in data usage by customers has given multiple challenges for telecom operators. One such challenge is management of billing process to ensure that neither customers nor the company’s business suffer due to outdated billing system. Sophisticated billing software with ability to scale up the operations is thus essential for every telecom service provider. Few years back, there were very limited telecom service providers which had dominance and monopoly in the telecom industry. In the current scenario, we witness launch of new telecom operators on regular basis. As a result, competition has become stiff for both new and existing firms. Customers in this scenario do not compromise with average quality of service from the telecom operators. They will immediately switch to other service provider if they are not satisfied with the service. Therefore, real-time billing solutions help telecom service providers to achieve the trust of customers in spite of competitive market. Gone are those days when only call-related usage was part of billing process. Currently, the smartphones have become part of individual’s life in this digital era. This has resulted in exponential increase in the usage of data services by the subscribers. As a result, the service providers require the solution to track the total data usage for every subscriber. This total amount of data services has to be integrated into final bill along with regular calling and SMS charges which makes the overall process complex. 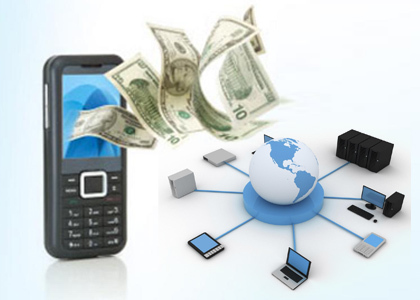 An effective billing solution acts as savior to simplify the billing process of multiple telecom services. Even a single error in a bill can be disastrous to company’s image. When a customer analyzes his/her bill and finds out error in calculation or related issue, he may get furious with the telecom operator. There are chances that negative remarks are posted on social networking sites. Customers also prefer to terminate the use of telecom services during these issues. As a result, telecom firms begin to lose their precious customers and ultimately lose their reputation. As a result, properly designed billing software is needed by companies having capability to eliminate any chances of error during the billing cycle so that customers stay connected with the operators forever. In order to offer best plans to their subscribers, telecom companies keep on changing their tariffs on regular basis. Also, change in the pattern of data and call usage with introduction of new mobile apps and related technology forces telecom operators to introduce telecom plans which suit their customers. If the billing process is outdated, the operators will face difficulties while changing tariff regularly. On the other hand, a robust system will allow the companies to modify the tariff as many times as it suits them. Also, different tariff for different batch of customers can also be applied effectively with advanced system offered by telecom billing companies. The traditional methods of bill payment consisted of paying in person through credit card or cash. But introduction of new technologies have also changed the way subscribers pay the bills. Now, online banking is one of the preferred methods of bill payment. Also, various firms allow the telecom users to pay their bills through mobile wallets using smartphone applications. Even several prepaid Electronic Cards have gained popularity with ease of use factor. Therefore, telecom companies need to have software which can integrate all these bill payment methods in its bill collection process. Lifeline scheme introduced by the federal government resulted in a new phase of wireless industry. But it is always a challenge for telecom companies to check if the individuals who have applied for this scheme are eligible or not. Government made strict rules regarding the validity of these subscribers. An effective telecom billing system also possesses the facilities to verify the subscribers through the use of address, social security number and date of birth etc. A robust telecom billing software with ability to overcome billing related challenges will not only help in taking better business decisions but will also ensure that customers are fully satisfied.